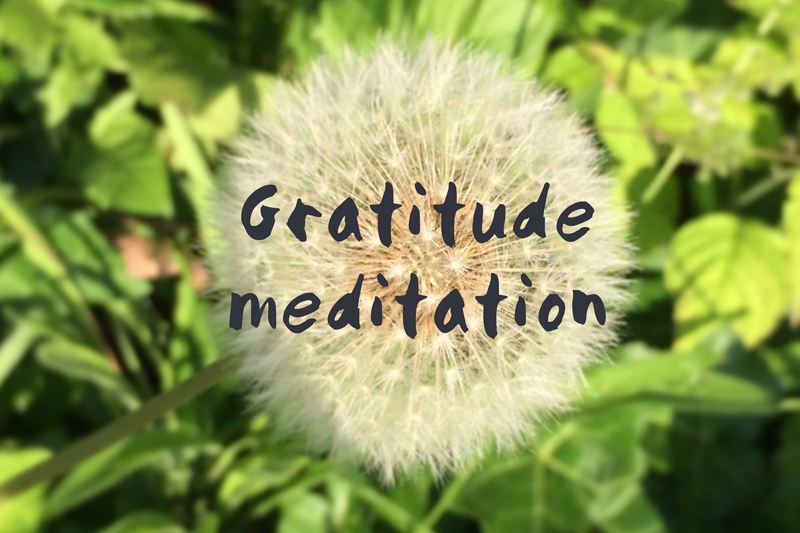 I recently taught a gratitude meditation to one of my private clients and thought I would share it here. Give it a try anytime, but especially if negative thoughts or anxiety are taking over. Our brains are wired to pay most attention to negative things: one of those byproducts of evolution that is not so helpful today. So sometimes, and especially during challenging times, we need to make a conscious effort to notice and acknowledge the good things in our lives. This is in no way to belittle anything difficult that’s going on, but to help retrain your mind to bring balance, positivity and optimism amongst those difficulties. Find a comfortable seated or lying position. Notice all the places where your body is in contact with the ground. Allow those places to be heavy. Notice your breath. The gentle rise and fall of your belly and chest. The sound of your breath at the back of your throat. Bring to mind one thing you are grateful for in your life right now. See what comes. Without analysing or judging. Hold that thought gently in your mind. Notice the emotions that arise. Notice how your body feels as you keep that thought close to you. How does your face feel? Your chest? Your belly? Is there a colour that comes to mind? Imagine a soft coloured light carrying these positive emotions and sensations through every cell of your body. Filling your being with gratitude. With your next few breaths, say an internal thank you to whatever it is you are holding in your mind. Thank you. Thank you. Thank you. With your next few breaths, send that gratitude out to the world with each exhale. Bring your attention back to your breath. The gentle rise and fall of your belly and chest. The sound of your breath at the back of your throat. Become aware of the sounds around you. Take a deep breath into your lower belly. Come into a full body stretch through your arms and legs. And softly open your eyes.